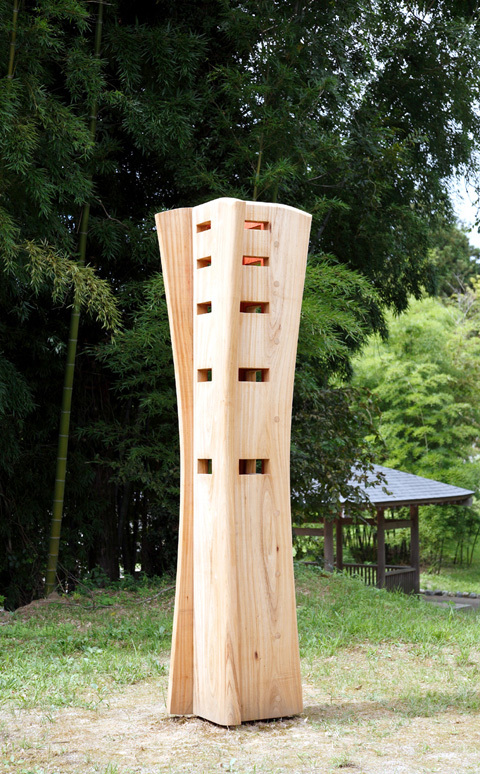 I intend to create a column---like structure which is reminiscent of growing plants. I am going to cut hiatus into the standing boards according to golden section to emphasize the idea of growth. Looking at the horizontal cross section of the side panel, it becomes obvious that their situations have an order which come from an ancient sun symbol and might remind us of the four direction north, east, south and west as well. The sun was considered as life -giving deity in most major civilization of history and I… am convinced… still play vital role in each culture all around world.